Whether it’s a new build or an existing property, we have the knowledge and solution for you. The majority of our cable based systems are a top-fix and they suit virtually all types of roofs. The cable is made from 316 Stainless Steel and all the ‘fabricated parts’ are enhanced by electro-polishing, this allows the our cable system to have a strong resistance to corrosion which in return will give it a longer service life and with the 25 Year, third party, insurance backed warranty is offered as durability is a key point to consider. The Soter system can have a max span of 10 meters between the High load or low load top-fixed anchors and can be used by Multiple users. This system will provide you with continuous hands free access. 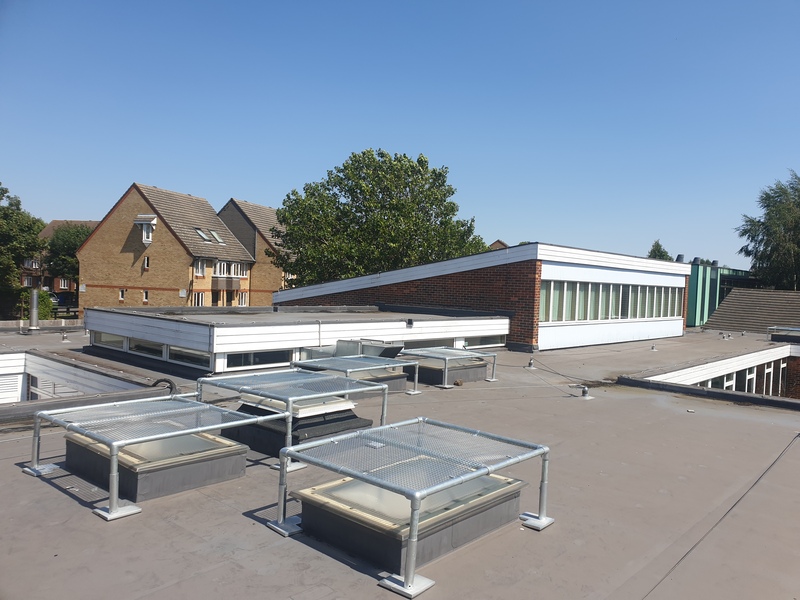 Soter have an on-going programme for testing their products, they have their own fully comprehensive test rig that allows them to continually test roof constructions. Due to this Soter has serial roofing manufactures approvals. 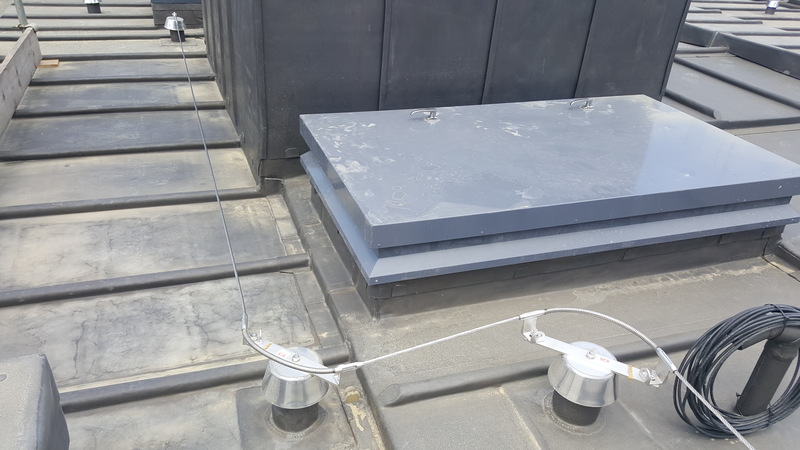 Soter supplied and installed by Safe and Secure Fall protection, Manufactured by QBM Developments.